Packaging Services - Canterbury Enterprises Inc.
We hand sort, bundle, bag, wrap, box, and accommodate all of your custom packaging projects. 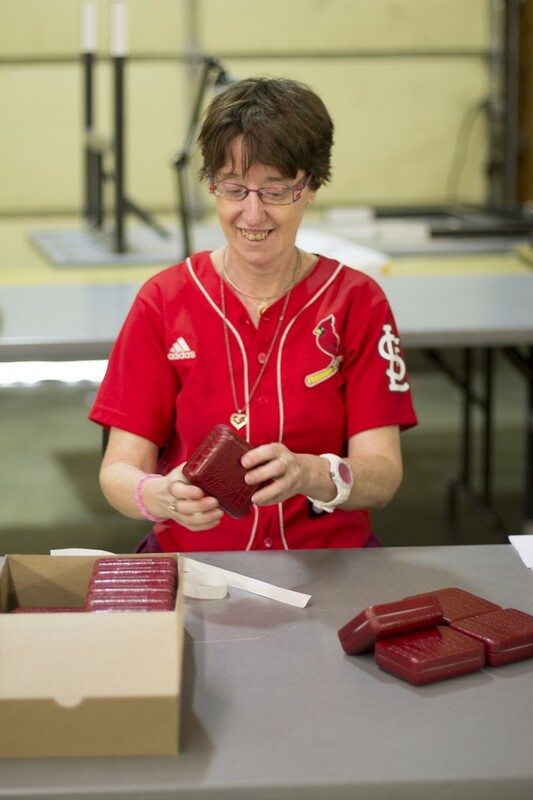 We package everything from commercial spray bottle kits to shrink-wrapping baseball cards. 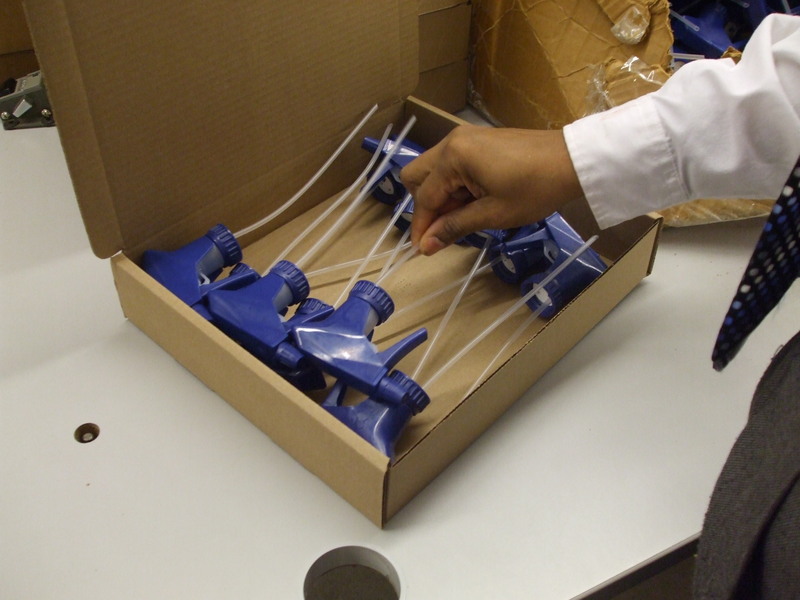 Think of us as your one-stop, volume packaging facility. Save your staff time and effort, and let our trained employees do the work. Labeling and packaging jewelry boxes. 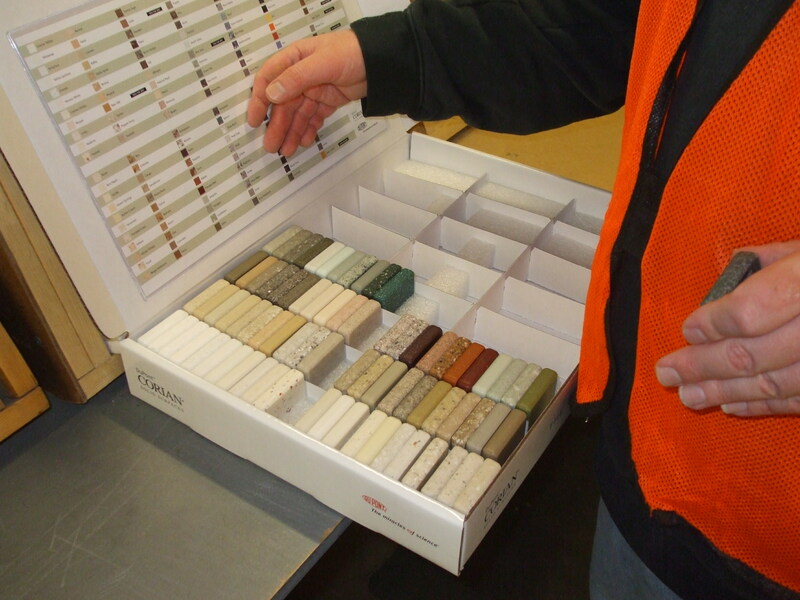 Preparing Courion flooring sample package. 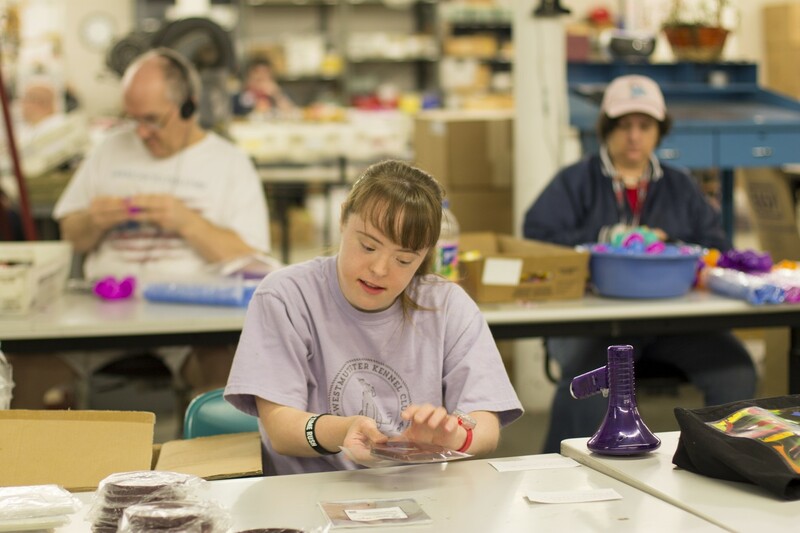 After assembly, another employee will package product for sales.